Cassidy added that they see a need for change in routing systems. A model of detect-mitigate-monitor has been established in the U.S. navigation systems, but there is a need to grow this to other countries. There is a huge market for routing traffic in Russia, China and Brazil, for purposes of business analytics, navigation and government. TomTom has launched a new traffic system in those geographies. 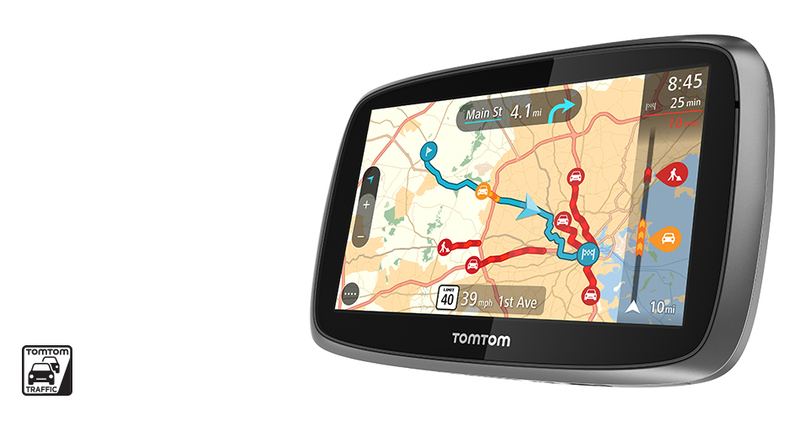 TomTom has a commercial crowdsourcing strategy with their own maps and devices. They work with three out of five mobile phone companies. TomTom’s MapCode is landmark navigation for those countries who do not have street names, such as India and Brazil. MapCode spans the globe and can be used anywhere. Every square is 5 square millimeters. People can create these themselves, and people can be located within 5 meters of their location. MapCodes are 4-7 digits and are congruent with ISO standards, as well as Open Source, and free. Brian Wienke at Accela said their customers use mapping, GIS, and spatial data in everything they do. Their product has a new user interface, look and feel. In the R&D phase are iOS and Android inspector products, using Google Glass. The idea is to have hands free while receiving inspection, permitting and licensing reports. The other area of development for Accela is the Civic Platform that will afford additional access to Accela’s workflow engine. “Through APIs, developers can build on their own,” said Wienke. “Citizens -> back office -> field = ecosystem.” This new platform will be announced in two weeks at the Accela User Conference. Geometri offers GISi indoors, an indoor GIS navigation system. The Geometri Enterprise server has nodes in various locations in the building. Customers can gather information on repeat and unique visitor breakdown. If you have a node, you plug in to it drawing from proximity to the sensor. Geometri Point is a single point sensor set up with the same analytics. In response to the information gathered, customers can move the merchandise around in store, or place a sensor in a car in a mall and find out if that car moved traffic to the car dealership. GISi indoors also executes “dwell distribution” for airports to find out when traffic peaks so the airport can figure out when to ramp up staff. Developers can use the Navigator SDK to develop services specific to businesses. Geometri Point costs is $59/month as a base rate with discounts for numbers. Geometri Enterprise costs are based on the number of nodes. SAP has expanded its relationship with Esri, and acquired Business Objects last year. Known primarily as an ERP and CRM company, SAP has found that their customers need the interface with GIS, but until recently, it hasn’t been easy to achieve. The partnership brings high-performance spatial analytics, self-service mapping and collaboration to GIS and business users to allow them to leverage real-time location intelligence in both their Esri and SAP environments. 60% of Esri customers have asset intensive enterprises, and want native integration of SAP with GIS. Last year SAP and Esri announced the integration and this year it has been realized. 1) The SAP Hana spatial processing platform makes SAP spatially enabled. Esri’s GIS can run geoprocessing natively on Hana. 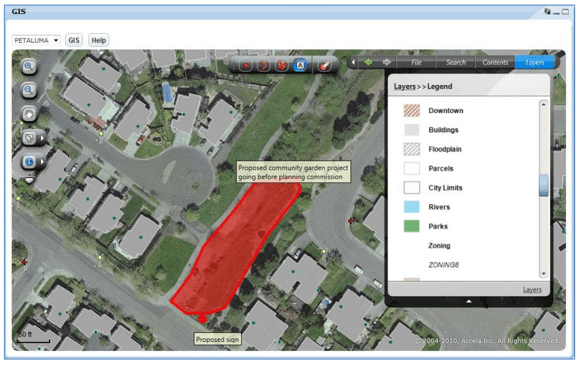 ArcGIS 10.3 can now use native processing. Business users can run complex spatial queries on massive volumes of data in real-time using SAP HANA via Esri Query Layers. This functionality works to accelerate location analytics because Esri ArcGIS executes queries natively on SAP HANA closer to where the data resides. SAP’s Match Insight was instrumental in Germany’s winning the World Cup, by spatially enabling the information of the players using data driven metrics. The coach was able to watch videos of the players and devise a training program around that information. 3) Mobility – SAP added new integration with SAP Mobile Platform to extend geospatial data from ESRI ArcGIS systems to its mobile field employees as a part of SAP Work Manager mobile app. SAP Work Manager enables users to manipulate interactive maps and to obtain more detailed information on the geographic region in question. 4) Business Apps for CRM and ERP – In the past, the business user had to do CRM workarounds to have GIS in their applications. Now their consulting arm has geoenabled apps for the customer to link GIS information to SAP Business Suite Applications. With the GEO.e framework delivered by SAP Consulting, spatial data is embedded into business processes, helping to enable users to visualize business data about land parcels, buildings, assets or work orders on maps from within an SAP application. iForm Builder is an interesting company whose customers are primarily NGOs. With their data collection app using their own devices, users have the ability to code the app with logic and use it offline. In Africa, for example, there is no internet connection most of the time. 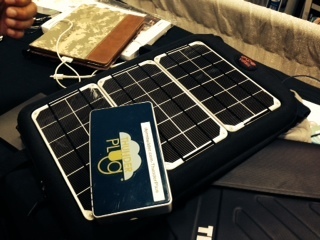 The iForm Builder product includes a server inside a small box, and a backpack equipped with solar cells. Ryan Coleman of iForm Builder said that this information goes to ArcGIS and is really the model for “data as a service.” 110 countries in four years have become customers of iForm Builder. Legeer said that SAR technology has been around along time but is more expensive for regular GIS users, and is only used by governments. Some good SAR data may now be available for free. More spectral bands from multi-spectral and hyper-spectral sensors will be available from WorldView-3, and there are new ways to exploit LiDAR. In the past it has been limited to DEMS and feature extraction data. He discussed using stereo information as well as multi-spectral models to create an image of Mt. Everest. Take one satellite, Baugh said, do a one-dimensional model and do a virtual outcrop. They have created a wireframe elevation model and draped it with imagery so it can be viewed geologically. This is a remote outcrop of Mt. Everest. WorldView-3 is superspectral and has 16 spectrums, and contains the overall structure of spectrum. There are bands on the CAVIS sensor for retrieving information from the atmosphere. Additionally, with SWIR-6 you can see through the smoke from a fire, which would be valuable for crisis response, when you have to see what’s on the ground. An RGB display is indicative of minerals. You will be able to see what spectrum different roofs are in. Altogether, you will have better spectral resolution, atmospheric retrieval sensor, light matter interaction, red blue and green display, and spectral matching. Apps for these displays will include RGB display, mineral indices, and rooftop classification. This entry was posted on Tuesday, July 22nd, 2014 at 10:18 pm. You can follow any responses to this entry through the RSS 2.0 feed. You can leave a response, or trackback from your own site.